I’ve done some pretty cool things in my life and I’ve been involved in some cool new ventures and launches. 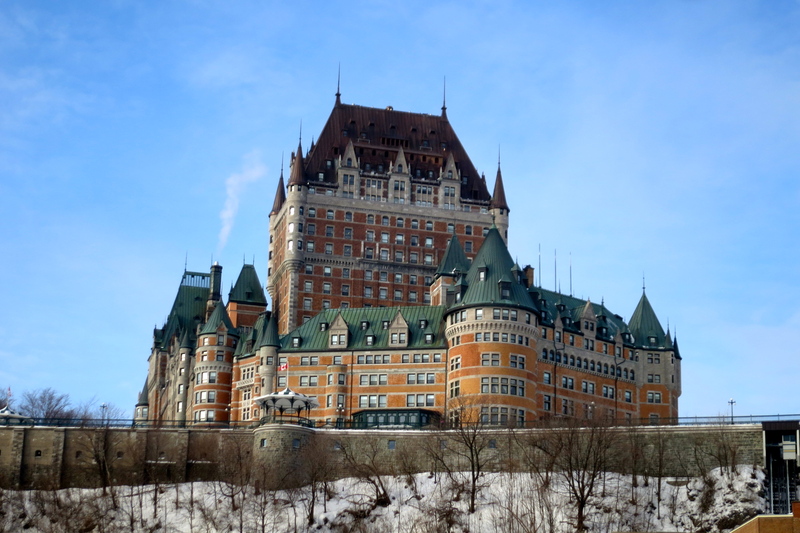 I’ve also stayed at many of the best hotels on the planet in some of the nicest suites you can imagine. However, I just got to attend the launch event for Jumeirah Inside at the Burj Al Arab Hotel; which essentially combined all of that stuff into one amazing 2-day experience! It was a real thrill to be a part of the Jumeirah Inside launch event in Dubai! Jumeirah Inside is a hospitality industry first, developed in collaboration with Google, to give you 360 degrees of luxury in a fully immersive digital platform. 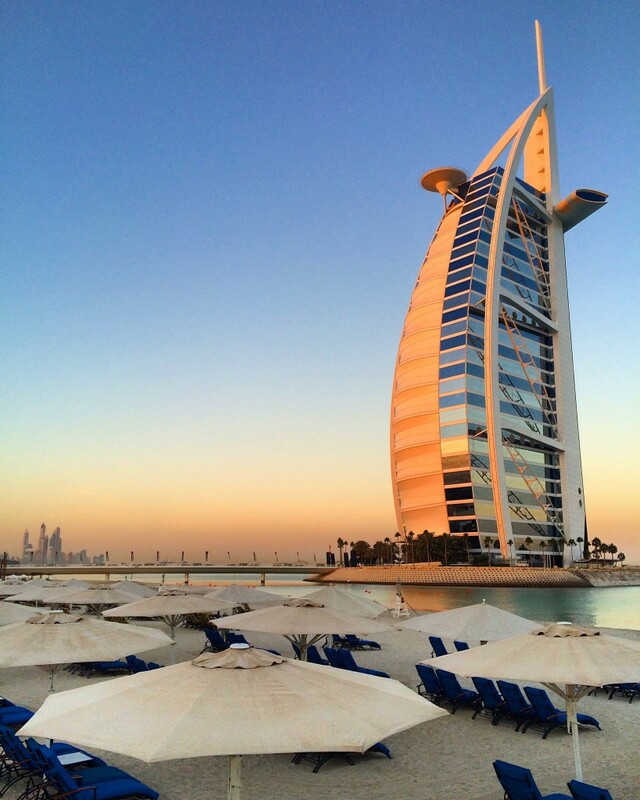 It was launched at the world famous seven star hotel, the Burj Al Arab; which I had the distinct pleasure of staying at for two nights in an impeccable suite. 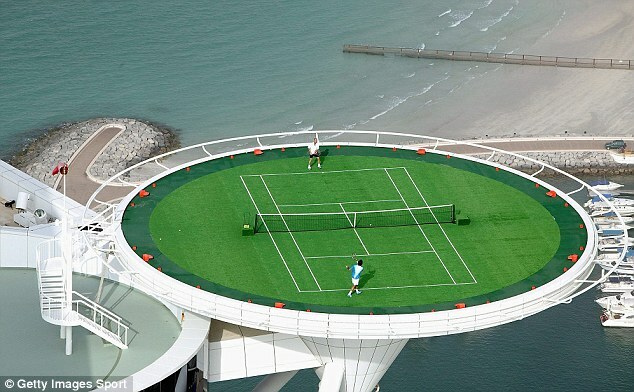 With Jumeirah Inside, you can experience for yourself on your laptop or mobile device, what it’s like to be on the helicopter pad of the Burj Al Arab. 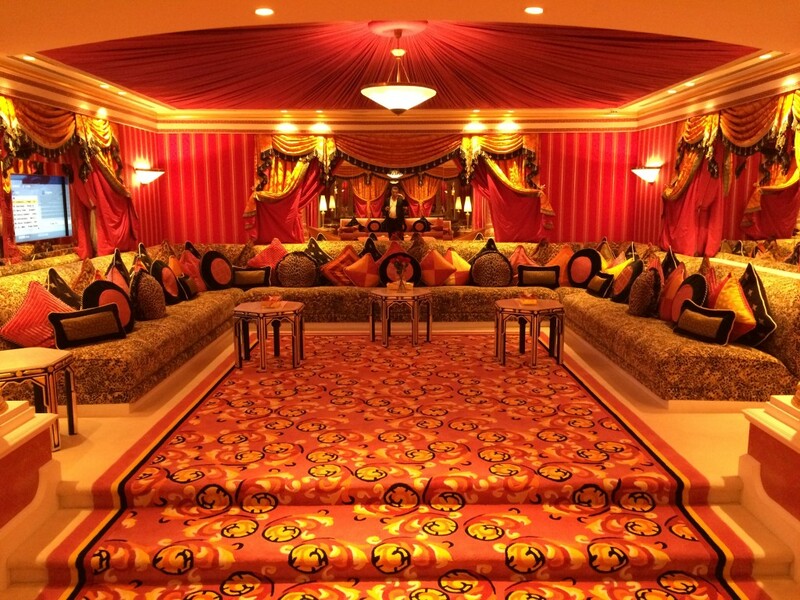 You can see the lobby for yourself or even tour the Royal Suite (which is amazing I might add) and see where Emir’s, President’s and Sultan’s lay their head in Dubai. 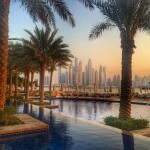 My whole experience for the Jumeirah Inside launch was a bit of a dream. 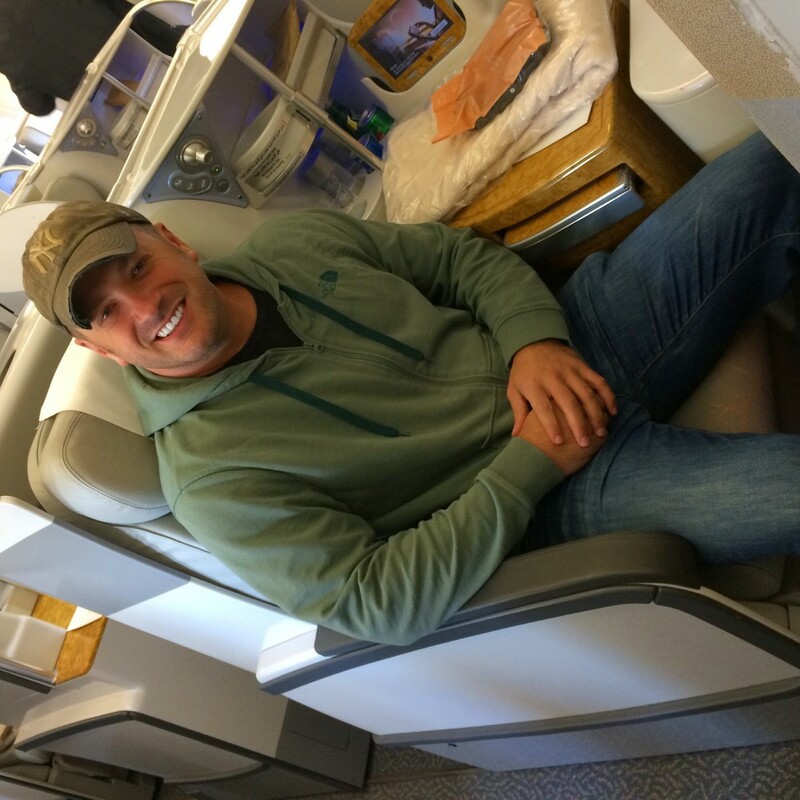 I flew business class on Emirates to Dubai where I was met by my driver in one of the Burj Al Arab’s fleet of Rolls Royce’s. 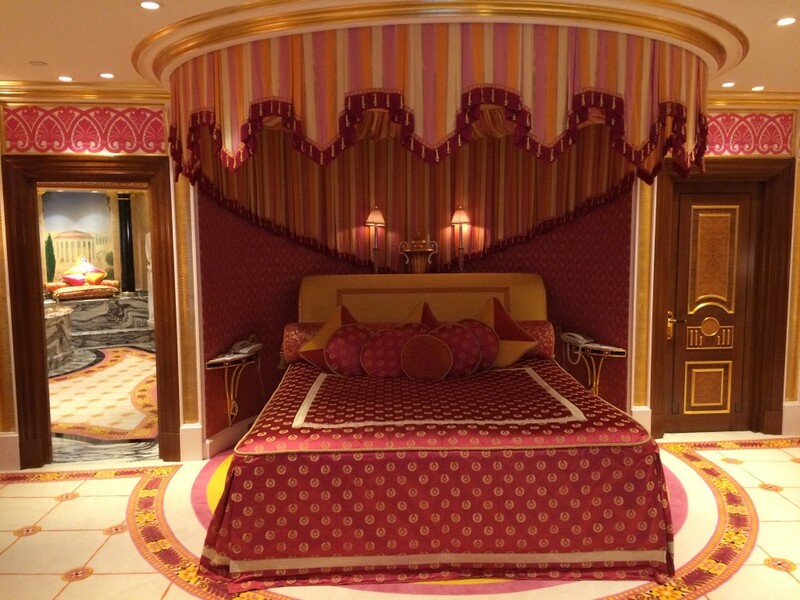 Upon arrival, I was then whisked up to my suite and given a tour of the suite by my personal butler. With two floors and a lot going on, I needed some guidance! 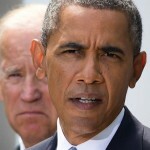 My butler would be my best friend on the trip as he always knew when I had to be where and what floor it was on etc. I was as giddy as a schoolgirl and even jetlag couldn’t spoil my fun! 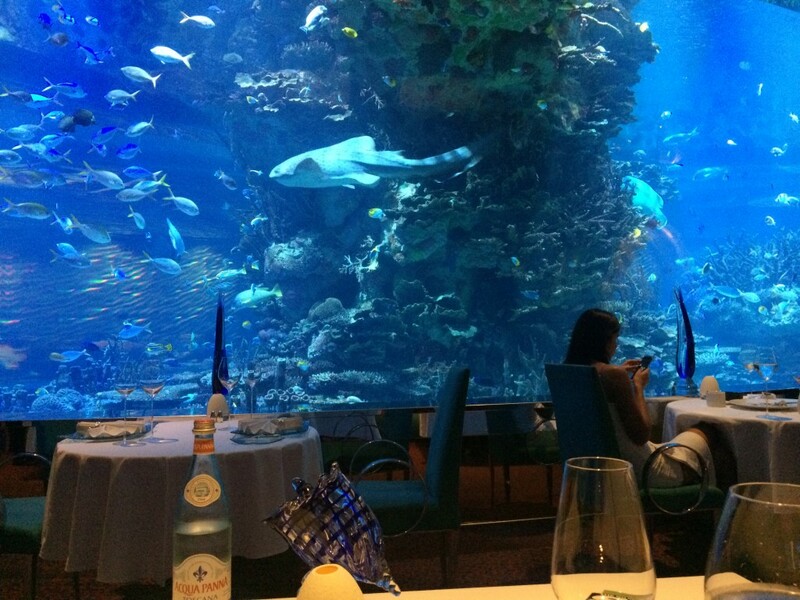 I was able to enjoy the Burj Al Arab in all its 7-star glory on day one like the amazing restaurant Al Mahara; which is now one of my favorite restaurants in the world. 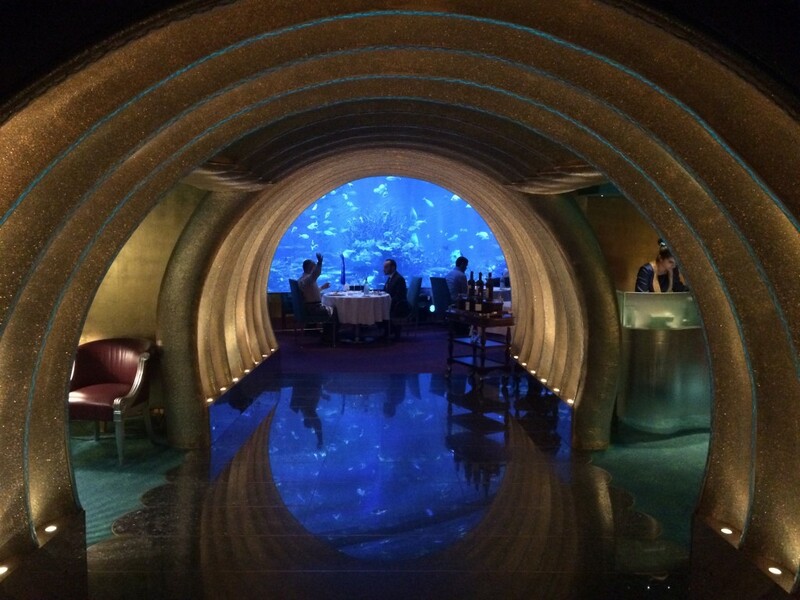 Even without amazing food, it still might be because of the amazing fish tank and superb service! A few cocktails at the bar on the 27th floor and I was ready to pass out and get ready for a big day 2-the day of the Jumeirah Inside launch event. 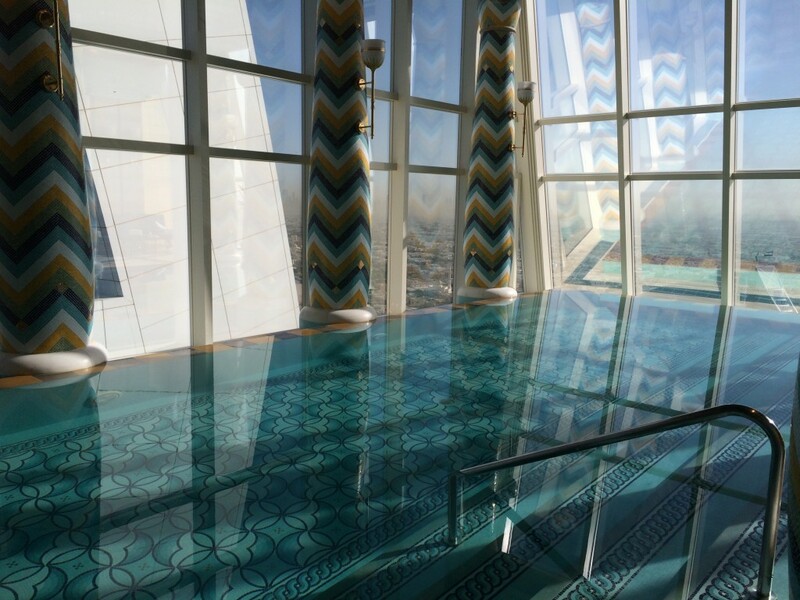 As always I was up early and went to the incredible indoor pool on the 18th floor that overlooks Dubai. It’s a part of the spa in the Burj; which as you might imagine is pretty incredible. I got an 85-minute deep tissue massage and enjoyed the best steam room I’ve ever been in before meeting some colleagues for lunch. 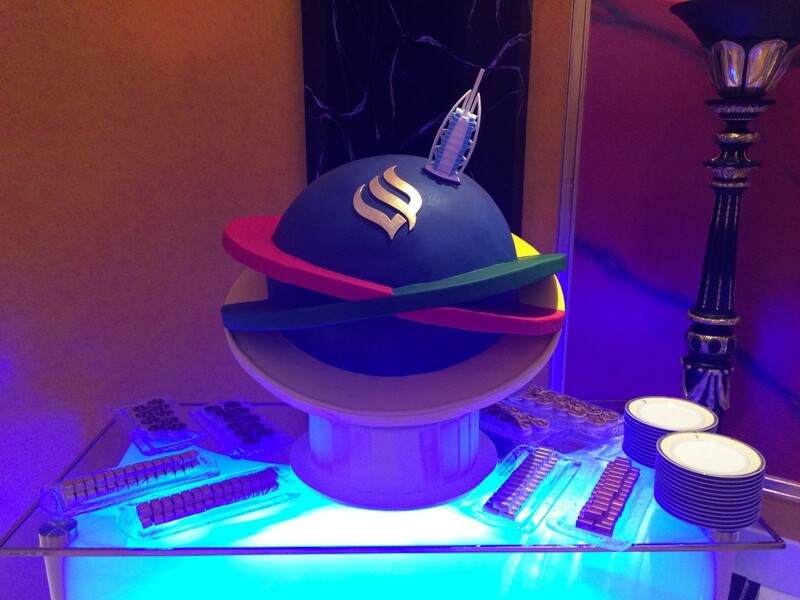 After a 2-hour lunch with some great industry company, it was almost time for the Jumeirah Inside launch event. 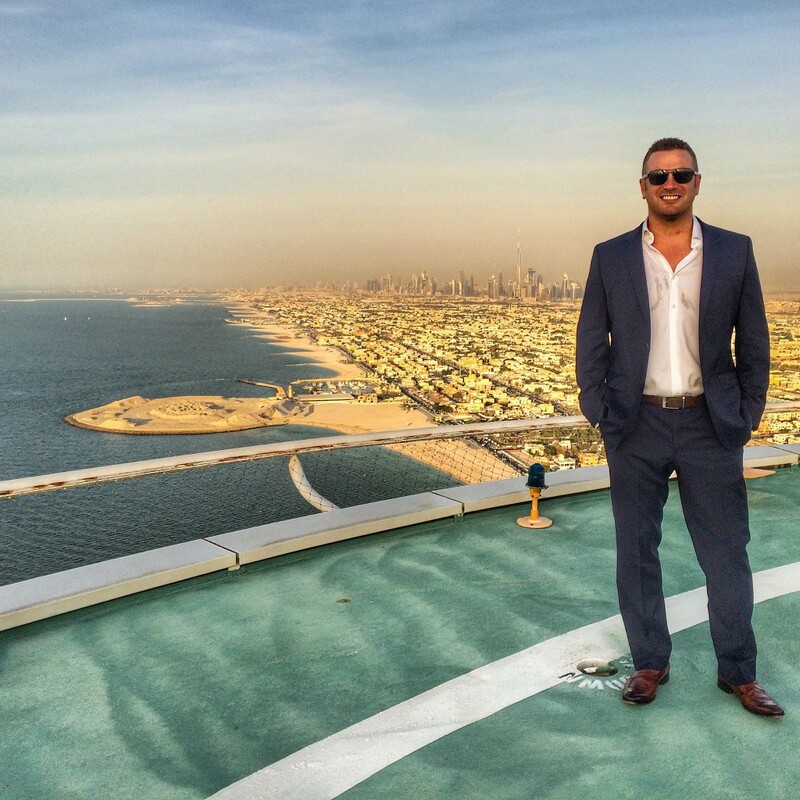 I have to admit I was so excited not only for the event but because I would be granted access to the rarely experienced but very famous Burj Al Arab helipad. I’ve always had memories of watching Roger Federer and Andre Agassi playing tennis or Tiger Woods using it as a driving range. It’s just a cool spot and one I was very fortunate to be able to experience. 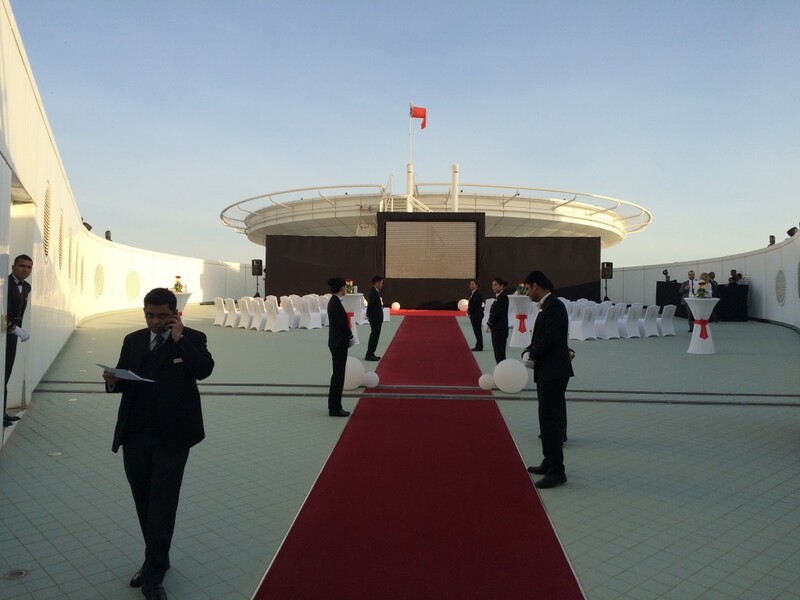 After some photos on the helipad, the Jumeirah Inside launch event was held on the roof just below the helipad with the sail mast of the hotel high above. We listened to esteemed guests speak from Jumeirah and Google and were shown an excellent video that you can see online now about what Jumeirah Inside is and how it can be used for so many different interactive things. Following the event, the cocktail reception was in the Royal Suite of the Burj Al Arab. To say the suite was amazing would be an understatement. It’s pretty much the most opulent thing you’ve ever seen and seemingly goes on forever. A night in the suite costs a pretty penny as you might imagine but sleeping in this bed or bathing in this bathroom might make it worth it! 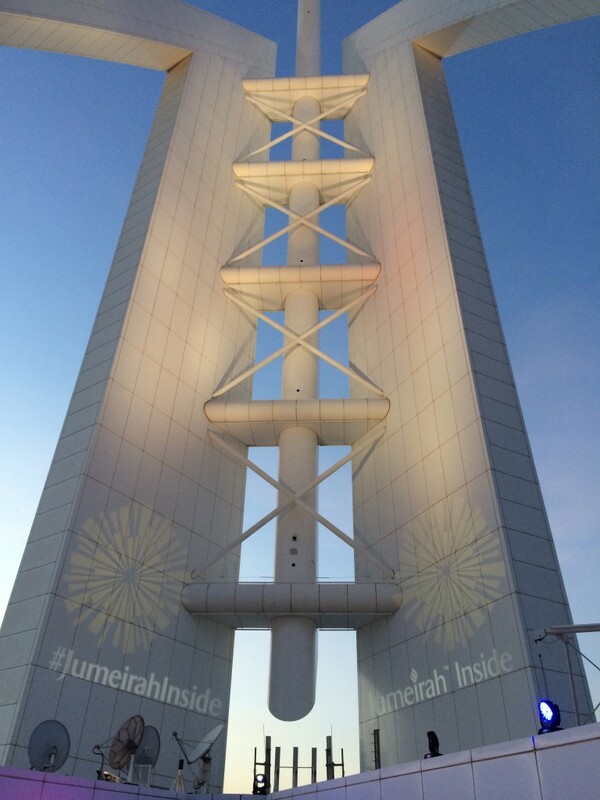 The Jumeirah Inside launch event at the Burj Al Arab in Dubai was a blast for me. I loved every second of it and I love Dubai so it was pretty much perfect. I’m a big fan of Jumeirah Hotels and not just because they sponsor Rory McElroy, one of my favorite golfers! 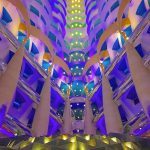 Check out Jumeirah Inside and if you’re ever invited to attend an event for a launch of a product when the Burj Al Arab and Google are involved-say yes please! Disclaimer: I received financial compensation for attending the Jumeirah Inside launch event. Additionally, all of my travel expenses and meals were also paid for. This post was written by me, based on my experience, and has not been influenced in any way. What I would do to stay at the Burj! 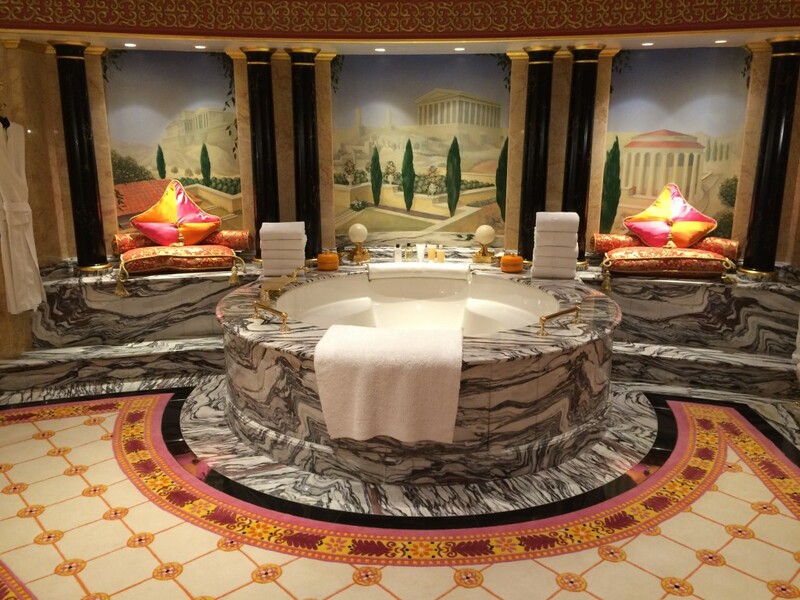 That bath in the royal suite is incredible, imagine the stories it would tell if it could talk! Haha I was saying the same thing, if those walls could talk! What an amazing experience !!! A hotel to stay once in your lifetime for sure! Ha! Now I know why you didn’t come to Abu Dhabi that day. 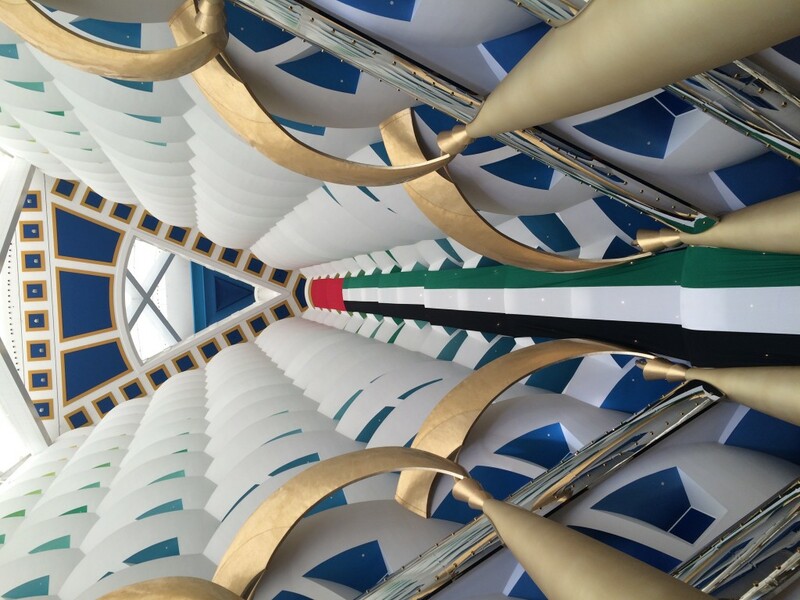 wow Burj al arab is really awesome from inside. I’m living in Dubai. I have done many time Dubai desert safari. But never visit Burj al arab from inside. wish to stay some days there 🙂 these days will be true memorable days. hope you get to check it out soon! There are so many mesmerizing views in Dubai. Burj is the best.